Our variety of massage services will help you relax and heal. 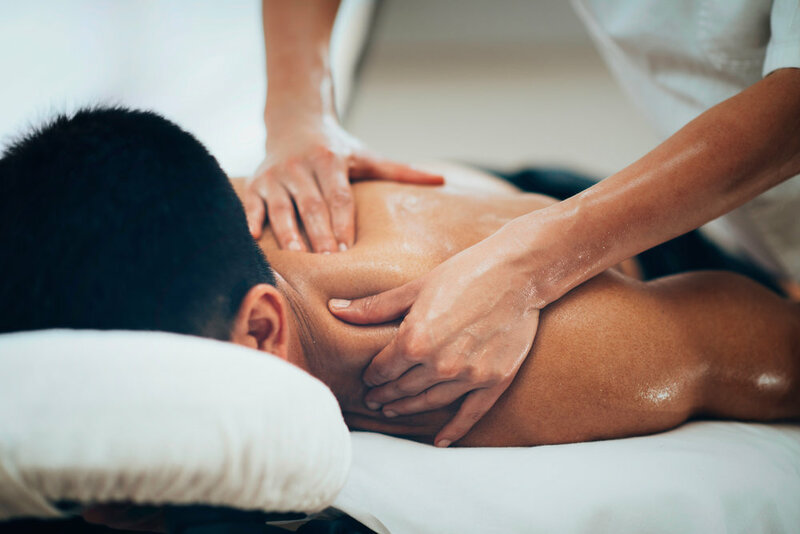 Massage is used to relieve a variety of complaints, including the pain and discomfort associated with chronic muscle tension, stiff joints, sciatica, sprains and overworked muscles. Receivers of massage often report a sense of heightened well-being. The therapist may incorporate active or passive stretching and hot or cold packs to enhance the effectiveness of the treatment. Massage is not advised for the following conditions: fever, any contagious disease, jaundice, acute phlebitis and varicose veins. Pregnant women must check with their physician before receiving massage therapy. Craniosacral therapy (CST) is a gentle non-invasive, non-manipulative therapy that helps to release the underlying forces that maintain stress patterns in the body. The therapist is trained to listen deeply to the subtle motions of the craniosacral system and to bring awareness to where there is constriction. By using their hands to witness any restricted patterns, the therapist provides an opportunity for the client's body to release the holding and return to its natural fluid state. While this usually occurs on an unconscious level within the body, the results can be clearly felt. CST can be useful for diverse conditions including allergies, asthma, TMJ, exhaustion, cerebral palsy, digestive disorders, headaches and many more. Because CST affects the pressure of the fluid in the brain, it should not be used for clients with recent acute aneurysm and hemorrhage, brain stem tumor and concussions. Orthopedic massage is a comprehensive system that allows a capable therapist to integrate a variety of massage's most effective techniques in the treatment of soft-tissue dysfunction, pain and injuries. An orthopedic massage therapist is knowledgeable and skilled in their understanding of pain, injury conditions and massage treatment techniques. The focus of orthopedic massage is to restore function and structural balance throughout the body for both the prevention and the rehabilitation of musculoskeletal dysfunctions. Common orthopedic conditions can stem from sports injuries, postural imbalances, chronic pain and scar tissue from surgery or traumatic injury. Fascia is a continuous web of connective tissue that wraps every muscle fiber, nerve and organ in the body. Myofascia is the unit that refers to the muscle and its fascial covering. Ideally, the muscle and the fascia are not adhered to each other or to the neighboring myofascial units but glide freely. However, through trauma, poor nutrition, repetitive use syndromes or postural habits, these tissues can become glued to each other, creating restrictions of movement that often impact areas locally in addition to far from the site of restriction. Myofascial Release can provide long-term relief from chronic pain and dysfunction associated with the restricted areas. Conditions treated include neck, jaw and back pain, recurring injuries, scoliosis and stress-related disorders. It is not advised in the case of malignancy, aneurysm and acute rheumatoid arthritis. Aromatherapy is the use of pure essential oils obtained from various flowers, fruits, bark, roots, etc. to receive their therapeutic benefits. Aromatherapy preparations are helpful for conditions such as stress, allergies, insomnia and PMS. Aromatherapy is a welcome addition to any holistic care regimen. CoreStones® are made from soapstone, nature's most efficient thermal conductor. The weight and warmth of the stones help relax muscle tissue. The unique design of CoreStones helps to facilitate a deep release of muscle tension without causing pain or tissue trauma. The soothing warmth and silky texture of the stones make for a deeply relaxing and therapeutic treatment. CoreStones can be used for myofascial release, trigger point release, deep muscle therapy, relaxing Swedish massage and reflexology. According to its developer, Dawn Lewis, Spontaneous Muscle Release Technique (SMRT) is "a positional release modality that interrupts pain signals in the body, painlessly resolves trigger points, has an incredibly calming effect on the nervous system and is highly stimulating to the lymphatic system. "By working with all tissues in any given area, SMRT easily and quickly allows the tissues to balance and the joints to realign effortlessly, re-establishing correct posture. All of this is done quickly, with almost no pain to the client, and in a way that is tremendously easy on your body. Because we have disrupted the pain loops, settled the parasympathetic nervous system, created almost no additional pain, and brought the area back to homeostasis, the results of an SMRT treatment last." 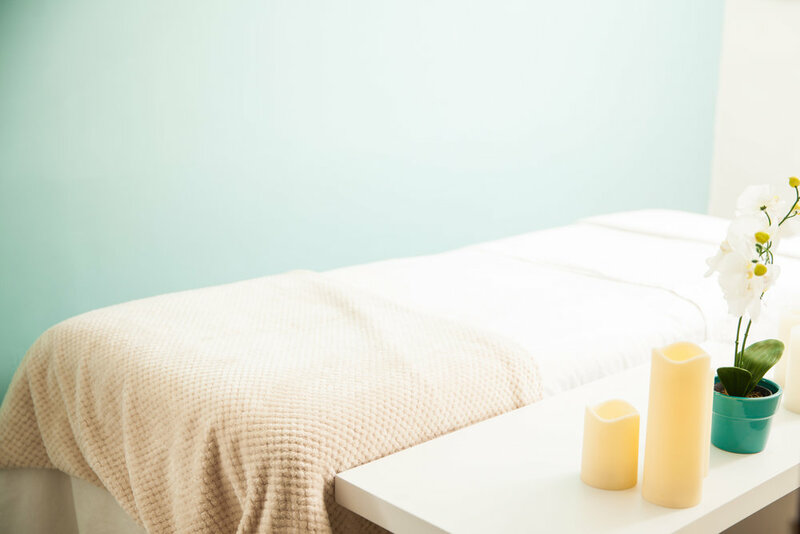 Begin Your Healing And Relaxation With One Of Our Many Services.